I got the chance to guest post over at Art’s Chili Pepper recently (thanks for the invite! ), and I was trying to put in words something that God has been working on in my life these days. Here’s the gist of that post – I hope you’ll share your own Ah-Ha moments too. …being done while brushing your teeth. After all, the location is optimal for checking your posture in the mirror, you must keep your body lifted to avoid spilling toothpaste on the floor, and you can’t help but be aware of your limbs as you attempt to maneuver between the sink and bathtub! And if I didn’t think my husband would threaten to take away my blogging privileges, I’d attempt to post a picture of my darling kiddo who loves to give ronde jambe a l’airs his best shot too. Why on earth would she ask all her tiny little dancers to imagine a 14,000 calorie treat? Because it reset our perspective. Imagine that reward in the distance in front of you, concentrate on it, and suddenly you aren’t thinking so much about not falling over. And that, my friends, is what doing toothbrush exercises with this little premiere danseur has taught me. 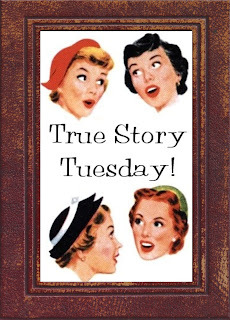 I hope you’ll come back and join us for True Story Tuesday coming up! My grandsons perform ballet and do not wear purple tutus. I told them it will improve their balance for manly things like football. You are so right about focus. It amazes me the way God teaches and speaks to us. I personally can hardly wait for Heaven!! This is a perfect post for me. I have been so busy trying to juggle so many things in life that I have lost focus...out of balance thus the not so proud mom day. What a beautiful post. I am in a point in my life where I need to figure out how to stop wobbling so damn much, if not for myself than at least for my kiddos!! Thanks for sharing this!! I wobble so much I feel like a weeble. But at least I am not falling down right?? 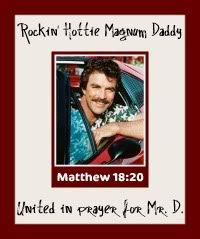 Thank you for this post and for all your prayers and continued encouragement and love. You are one of the sweetest people I know Rachel and I am so thankful for you. About the tutu now. Chris would have a cow but I think it is hilarious. I love ballet but have never, even in my skinniest days, had the body for it. I love to watch it though. Z watched the video with me and she kept asking to play it again. She then proceeded to show me that she could do the same! Not quite, obviously, but she's pretty pleased and said that she's going to show her ballet teacher tomorrow. Hah. And I'm totally cracking up at the thought of Itty Bit dancing with you. So sweet! Love your analogy and how you look at life. Thank you for blessing me with your sweet words of encouragemnet, both here and on my blog. I love the humor you add when you are talking about a deep and spiritual moment! I can soooo relate...not to the standing on my tip toes while brushing my teeth (I mean really? Who doesn't that, Rachel?!)... but to shifting our focus... MY focus... great message!! Thanks for the reminder. And the craving for ice cream. I remember when taking Ballet the key was to focus on a point that was straight ahead and following through with that physically. Never realized that line of focus could apply to so many things in life. Thanks for reminding of that! What a fantastic post and reminder my friend! I LOVE it!